Put some major focus on stealing the show! We aren’t talking about just a collection of squeeze balls, pens, and mints that are plastered with your logo. Think of something creative to draw people in to the "experience", be it games of chance or moments of escape, and your booth will overflow with interested onlookers. Just an FYI: be aware of your capacity rules at a trade show, you may receive a “warning” because after you follow these steps your booth will exceed all capacity limits! 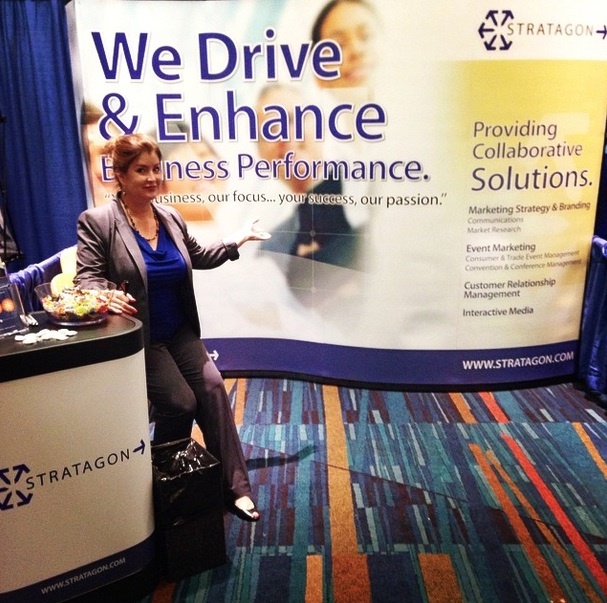 Most people want to gain new leads, and achieve a ROI for their trade show efforts. In order to come away with the show with something tangible, and also measureable, make sure you are planning for data acquisition, both in execution and in budget. This is a perfect opportunity to gain targeted information so you are able to immediately assess and act on the value and potential in every contact. Simple badge scanning doesn’t usually do it here; be deliberate about seeking information and contacts directly impactful to your end goal, and ensure you make it worth their time! In the (select) words of Blake (Glengarry Glen Ross), "coffee is for closers"... "Always be closing!" Always “strike” on nurturing any potentially valuable relationship while that “iron is hot”. Prepare and plan for the need for small group interactions; consider pre-planning reservations at local restaurants for carrying conversations into more detail, in a more conducive environment. You may also want to reserve a suite in the host hotel for breakout sessions and invite-based happy hours. Take the best conversations a step further while away from the standard office environment. ALWAYS move to the close. Long story short, not planning for a trade show exhibit opportunity, and not working that plan to execution, only leaves an effort that, best case, doesn’t damage things, and yet far from succeeds in improving them. So follow these steps and become a trade show rock star.